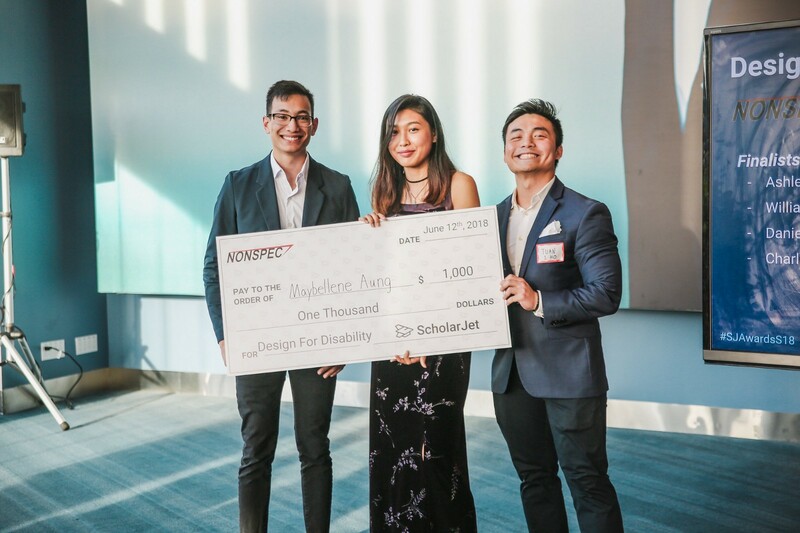 This week, we sat down with Maybellene Aung, the winner of ScholarJet’s “Design for Disability” competition, which aimed at designing a solution to improve the everyday life of a person with a physical disability. The competition was created by Nonspec, an organization committed to designing, developing, and delivering, a low cost and durable prosthetic for developing nations. 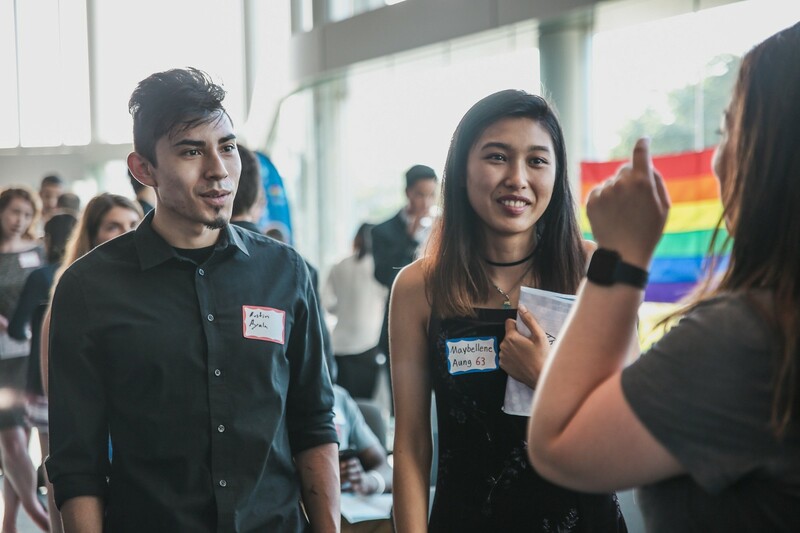 Read why winning this scholarship uplifted Maybellene’s academic career when she wanted to give up and how she’s using her engineering skills to empower women. Tuan: Thank you so much for doing this with us! What is your “backstory”? Maybellene: I’m a third year Mechanical Engineering student at Northeastern University. I come from a family of immigrants and was the first one in my family born in America. My family came from Myanmar, which at the time was under harsh military dictatorship. My mom always tried to instill the value of education, sacrifice and perseverance. It was very rare for a woman in Burma to get a degree, much less chosen to proceed to her master’s. She was in the top 10% to be able to continue her masters in nuclear chemistry. However, the military dictatorship shut down all schools so she could not finish her degree. My parents sacrificed so much to bring my siblings and me here for a better life. The five of us lived in a cockroach-infested, one-bedroom apartment in Queens, NY. Coming from humble beginnings taught me to appreciate how fortunate I was and how important education is to breaking the cycle of poverty. (On a separate note, it also inspired my love of thrifting and fashion since we only shopped at Goodwill). Additionally, coming from a third world country, I have always dreamed of being able to use engineering to help the impoverished and to raise their standards of living. Tuan: What feeling(s) did you have when you found out you were the winner of the Design for Disability Competition? Maybellene: It was immediate validation and happiness. In the exact week I found out I won, I had been talking to my advisors about dropping out for a semester. With my parent’s expensive divorce and my father getting laid off in the same month, I knew I could not afford college. I had internalized the financial problems and wondered if it was even worth it when I wasn’t even that good at engineering. Learning I was chosen had filled me with such vigor to become an engineer and made me realize I may have been too harsh on myself. I really want to be a great engineer! Maybellene: The technology available for disabled people isn’t where it needs to be in order for this capable but underserved community to be fully independent. My two best childhood friends both had siblings with cerebral palsy and I was exposed to the drawbacks of the wheelchairs they were using. After my uncle suffered a stroke and rendered paralyzed, I gained insight into the social and emotional aspects associated with disabilities. I wanted to create a device to help handicapped people gain back their independence. Maybellene: I knew creativity and practicality were both important criteria and wanted to create a device that has not been done before, yet seemed doable. I tried to integrate existing mechanisms that have been proven to work but apply them in unique ways. I think I managed to successfully check off both criteria, which made me stand out. Maybellene: I realized that I did have potential for engineering despite what I had convinced myself otherwise. I had tons of fun researching, conceptualizing, sketching, modeling, etc. I have grown fond of the engineering design process through this exercise. Maybellene: I really resonated with NonSpecs’ mission statement with providing more affordable prosthetics. The idea that the difference between life and death is oftentimes money sits uncomfortably with me. With the current state of our country’s healthcare system, this is all the more literal. I believe affordable access to healthcare should be a right, not a privilege based on how much money you make. Tuan: Why do you think it is important to have alternative scholarships like skills-based scholarships available in your community? 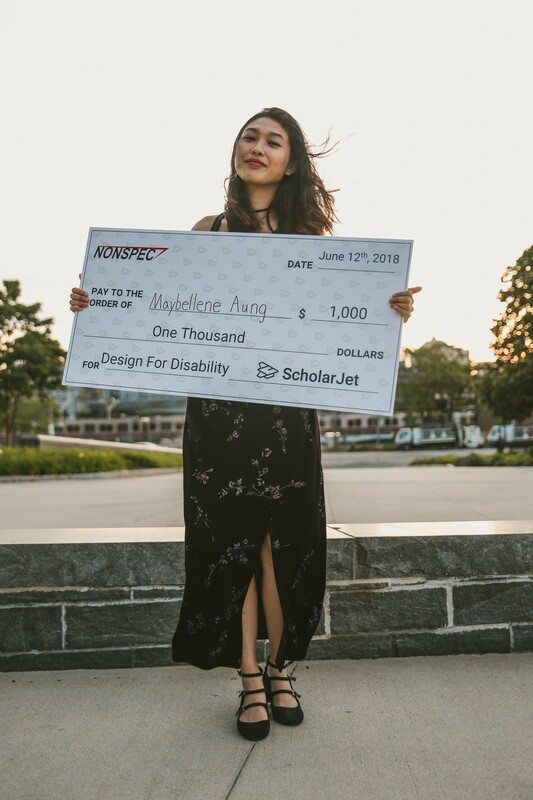 Maybellene: This skills-based competition is the literal manifestation of the saying “action speaks louder than words.” If I am trying to prove myself as a future engineer, why should I be judged mainly on how I am able to write? This challenge tested my ability to use SolidWorks, conceptualize design and other engineering skills. Tuan: With your hard work, talents, and skills, how are you looking to create a better future? Maybellene: I really want to make devices for people living in third world countries, especially for women. The gender gap is emphasized in poor areas. For example, girls miss a few days of school every month because of lack of access to reproductive health necessities, which equates to a significant compromise in education compared to boys. I want to create a device that makes constructing pads at home extremely accessible and affordable. I believe education is the key in making people, especially women, more independent and empowered. Tuan: What are two pieces of advice you have for future students who are looking to participate in a skills-based scholarship? Maybellene: With skills-based scholarships, you have the platform to voice your opinions and showcase your talents. I would recommend using this opportunity to really put yourself out there. Also, don’t doubt yourself! Give it your all and submit. I had a finished submission for a while but I stalled submitting it until the last few hours of the deadline. I was so unsure and kept putting myself down. It doesn’t hurt to just submit it! Maybellene: Probably Trevor Noah. He is one of my favorite comedians and I always find myself completely agreeing with his political/social views on the Daily Show. I also loved his book about his past. He is an inspiring and hilarious guy all around. You can learn more about Maybellene by connecting with her on LinkedIn.